Typically, the courts and insurance companies award compensation based on the amount of fault each person needs to take responsibility for. For fault states, there can be a specific percentage of fault for each party involved in the motorcycle accident. When these percentages are given, that person will be responsible for covering that percentage of the costs associated with the accident. There are a number of factors that influence the decision of who is at fault for an accident. These factors may include road conditions, weather, speed, and the driver’s actions, among other factors. In some states, on the other hand, fault does not matter. Kansas is among 13 other states that is a no-fault state. What this means is that your insurance company will cover the economic damages, which include, but are not limited to, the following: medical costs, property damage, loss of income due to inability to work, and other damages. While your insurance will cover economic damages for your motorcycle accident, you have the right to file a claim for compensation from the other party’s insurance company for non-economic damages. These types of damages include pain and suffering. An experienced motorcycle accident attorney can help you decipher potential compensation and damages after an accident. Learn more about accidents and how our motorcycle accident attorneys can help you here. 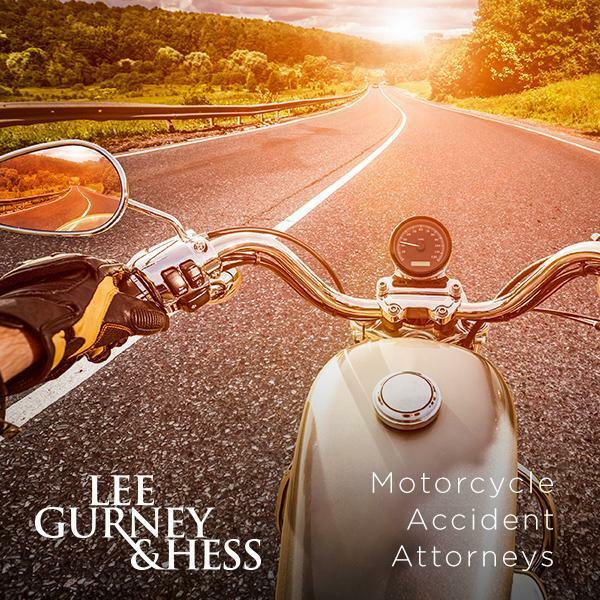 The motorcycle accident attorneys of Lee, Gurney & Hess are here to help you after you’ve been in a motorcycle accident. We will provide you with strong legal representation when you need it the most. Call our Wichita office or fill out the consultation form on this page.